Reichert 7, Reichert Technologies' seventh generation non-contact tonometer, is the most user friendly NCT ever. 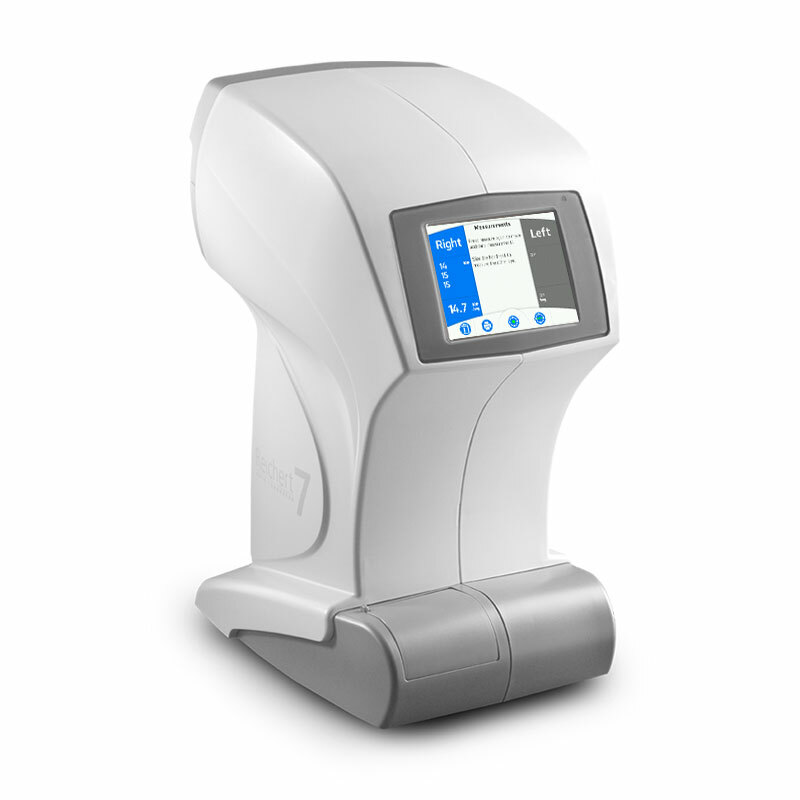 With a number of new features, including an easy to navigate touch screen interface and multiple-measurement mode, Reichert 7 will be a welcome addition to your practice. The totally automated operation results in error-free measurements and high patient throughput. Measurement speed and simplicity without sacrificing accuracy. Reichert 7 features an all-new, one-touch, multiple-measurement mode that delivers 3 or 4 measurements with a single press. This new feature saves time, increases accuracy, and ensures the highest level of comfort for your patients. The touch screen interface features an easy-to-use, icon-based operating system enabling even inexperienced users to make measurements in seconds. The full color display guides the operator through the measurement process showing everything from the alignment of the eye, to the display of the readings. Set up menus and instrument options are also easily accessible and simple to navigate. Reichert 7 is designed to make the entire measurement process a comfortable and non-intimidating experience for patients. The instrument features the quietest operation and softest air puff of any NCT available. A sliding headrest enables easy patient positioning to ensure fast and comfortable measurements. The operator simply slides the headrest to the left or right position and the patient positions their head against the comfortable headrest pad. 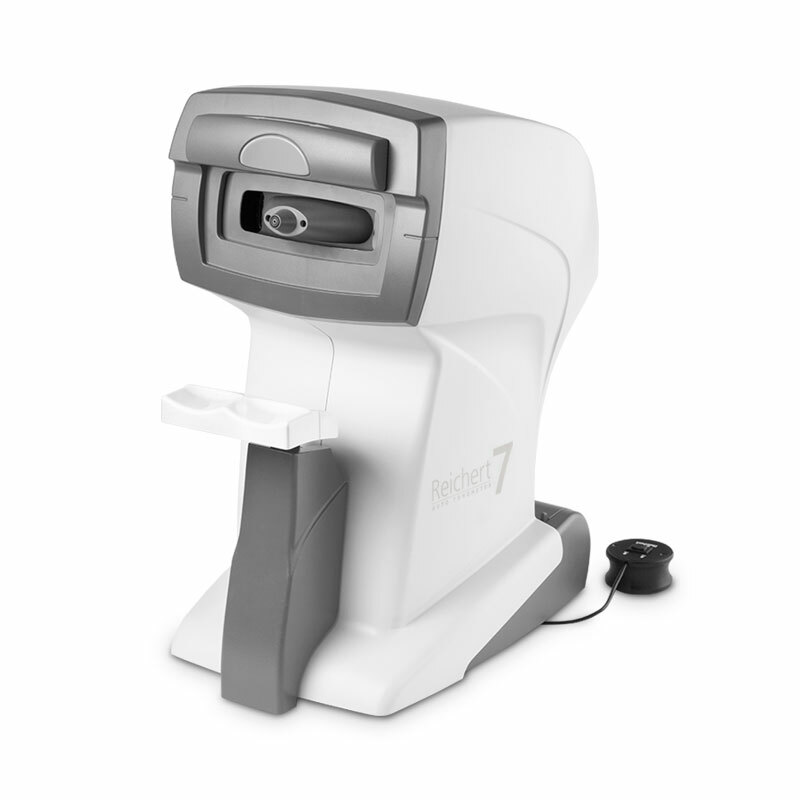 Reichert 7 automatically detects which eye is being measured. The Reichert 7 nosepiece contains an array of bright LEDs. These provide an obvious visual cue to the patient for fast fixation and alignment, thereby reducing exam time. Operation of Reichert 7 is extremely quick. 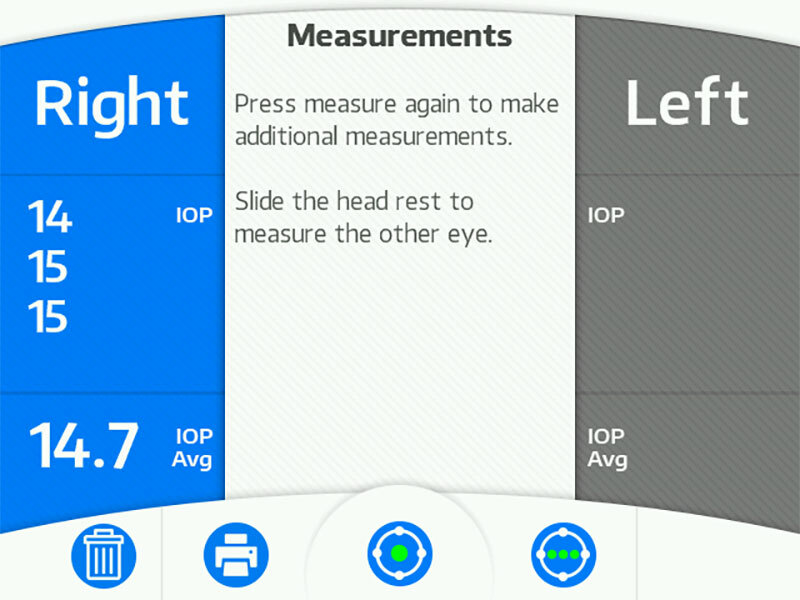 Patients simply lean against the forehead rest while the operator touches an icon on the screen to activate the fully automated alignment and IOP measurement process. The measurement is taken with speed and simplicity unlike any other NCT, without sacrificing accuracy.